Before I get to the questions, I love Justine Larbalestier's recent blog post, written to her friends and extended family: "You don't have to read my books." Now seems like an appropriate time for me to link to it, since I have a new book that's just come out. Friends and family who might be feeling obligated? YOU DON'T HAVE TO READ MY BOOKS! Read Justine's post -- she explains lots of great reasons why. Now, SPOILER WARNING: These questions/answers don't contain any significant Bitterblue spoilers, but the first two questions definitely contain significant Graceling spoilers. 1. In your acknowledgments for Bitterblue, you included an interesting mention having to do with Po, disability politics, "magical cures," and your own failings as a writer. Would you talk a little bit more about what that was all about? One thing I've learned about being a writer is that you make mistakes, and then they're out there in print and it's too late to do anything about them -- except to try to do a better job in future books, and with future characters. Here's another example that no one asked me about on tour, but which I'll mention here anyway: I wish I'd thought more carefully about race when I first created these worlds, been more explicit, thoughtful, and careful about creating characters of color. I intend to do so in future, and expect to create the opportunity for it with the next book I write in my fantasy world. Returning to the question I was actually asked: I also wish I'd been less ignorant about disability politics when I was writing Graceling. When I realized, late in the writing of Bitterblue, that I had disabled Po, then "magically cured" him in a way that suggested, as book after book after book does, that a character can't be both disabled and whole -- that his story can't continue happily until he's cured -- when I realized what I'd done, I tried to change a few things to make his blindness more real, and his cure less magical. For example, in Bitterblue, he can't read words on paper and needs assistive devices to write, and when he's ill, his Grace warps so that he no longer has a clear sense of his surroundings. But the fact remains that I'm stuck with the powers I gave him in Graceling, so the best I can do is work really hard to make him as real as I can whenever he appears, think hard about my future representations of him, and try to be more thoughtful about this issue with new characters. Writers make mistakes. I've made mistakes. Moving forward, I'll try (1) to rectify them if and when I can, and I'll also try (2) not to duplicate them. No doubt, I'll continue to make mistakes. One thing I'll definitely be doing is getting advice from people who are better at these things than I am. There are two more things I want to say before I move on to the next question. First, I want to extend a heartfelt thanks to the readers in my audiences who asked me to talk about this during the tour. You probably didn't know you were doing it at the time, but what you did was force me to get over my fear of publicly talking about it, and it's good for the world when these things are talked about publicly. Second, I want to say that I'm sorry for the mistakes I've made. 2. 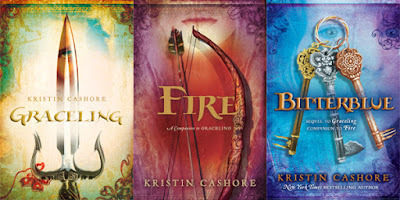 I've heard some readers expressing the opinion that Katsa is a lot more animated, more larger-than-life in Bitterblue than she was in Graceling. Why did you write her that way? Do you agree or disagree with the opinion? It's not my place to agree or disagree. 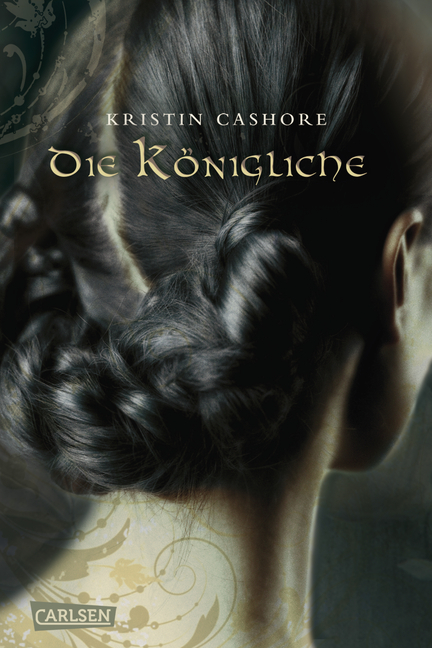 People are entitled to their opinions and interpretations without the author butting in to tell them how they should be reading the book or what they should be thinking, and my readers know Katsa just as well as I do, if not better :). Why did I write her the way I did? That's a question I can answer, though I'll do so briefly, because I think that sometimes the line between an author explaining her process and unfairly influencing interpretation is hazy. It's largely a matter of perspective. In Graceling, I was presenting Katsa from inside herself. To a certain extent, Katsa doesn't think too much about how she comes across; she just does what she needs to do; she doesn't make internal comments about her own bluntness or shininess or temper or emotional outbursts or whatever. Self-awareness is not particularly one of her defining characteristics. Does she realize how it looks when she's so happy to see Po that she tackles him? Does she realize just how hard she's holding onto Bitterblue in the moment when they're leaving Po behind? Or how she must look when, in a fit of frustration, she suddenly runs into the forest, tears off her clothes, and jumps into a pond, screaming at the coldness of the water? :) I tend to think that no, she doesn't, nor does she particularly care. I, as the writer, have a few ways I can express it -- mostly through the reactions of other people. I can have Po tell her she always bursts into a room: "No one flings doors open the way you do." I can show Po gasping and gaping, and finally laughing, after watching the bizarre manner in which she decides to catch a goose. But most of it is left up to your imagination. When Katsa and Po argue, for example, or the time she strikes him in anger -- it's largely up to you how that looks. In Bitterblue, OTOH, we're seeing Katsa from Bitterblue's perspective. Bitterblue is observant of behavior, and has a certain instinctive understanding of people and relationships that Katsa doesn't necessarily have. In addition, I think Bitterblue kind of idolizes Katsa; to Bitterblue, Katsa is a little bit larger than life, as is Po. I wrote Katsa the way I thought she would appear to an outside observer in general -- and Bitterblue in particular. Did I succeed or fail? That's entirely up to you. Please, please keep having your own opinions and expressing them to each other! 3. Are you still taking flying trapeze lessons? Sadly, no. Other things have been occupying my time! It's the right thing for me these days health-wise and time-wise, but also makes me sad on some levels, so here's a photo for old time's sake. Hopefully I'll find some other way to incorporate ridiculous photos into the blog in future. Nothing in the world feels quite like this. 4. How is your ankle? Much, much better. Thank you for asking :-).